Every change we experience is stressful, even positive change. Managing your stress—eustress (a beneficial reaction that galvanizes you to perform, achieve, or overcome; feeling positive and fulfilled) versus distress (feeling overwhelmed, often temporary acute mental and physical suffering) is up to you. Adoption is right up there with the top stressful events in a person’s life such as the death of a spouse, family member, or a close friend; divorce; illness or injury; or the loss of a job and financial hardship. You are not in control of the adoption timeline or its outcome. The adoption process challenges your patience, can make you feel judged, and is expensive. These facts result in high levels of stress, resulting in adrenaline responses such as distractibility, anxiety, irritability, the reduced ability to fight disease and illness, fatigue, and sleep disturbances. What can you do to manage your stress? Your child is being cared for. You are welcoming a child into the family or becoming a parent for the first time. Go deeper into yourself. Explore your values, gifts, and areas that need work. Explore your faith or your beliefs. Prepare to be the best parent and role model possible. Your adopted child will be stressed. Any siblings at home will be under stress. Your kids will match you emotionally. Make deep breathing a priority. Many of us do not breathe correctly. Surround yourself with objects that stimulate and please your five senses, such as candles, music, walking in nature, and water. Simplify, prioritize and set your schedule. Do something important to you. Laugh and cry when you need to. Remember, stress management is avoiding stress, dealing with situations as they arise, and recovering from the adrenaline response. The stress of adoption is an opportunity for you to grow. How well you manage your stress correlates to your adopted child’s psychosocial adjustment to her adoption. 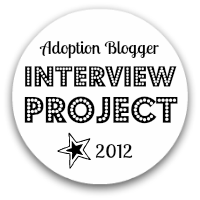 For Discussion: What is the most stressful aspect of the adoption process for you? How are you addressing it?